E-Cigarettes: The Lesser of 2 Evils? Chocolate, strawberry and bubble gum are popular ice cream flavors — they’re also vapor flavor favorites. Much like ice cream, these tastes are one of the reasons consumers find e-cigarettes so exciting. E-cigarettes are battery-powered devices that convert nicotine into vapor. While e-cigarettes seem to help smokers kick the habit, e-cigarettes also appear to attract new customers who have never smoked. 12.6% of adults have tried e-cigarettes, up from 2.6% in 2013. And young users are dominating the demographics. E-cigarette use tripled among middle and high school students in one year. Several studies have found lower levels of carcinogens in e-cigarette aerosol compared to traditional cigarettes, but both smoke and e-cigarette vapor contain chemicals known to cause cancer, birth defects or other reproductive harm. Data is limited. There have been no studies conducted to analyze the effects of chemical mixtures (as opposed to effects of individual components) created by e-cigarette vapor on the mouth. The effects of long-term exposure are completely unknown. 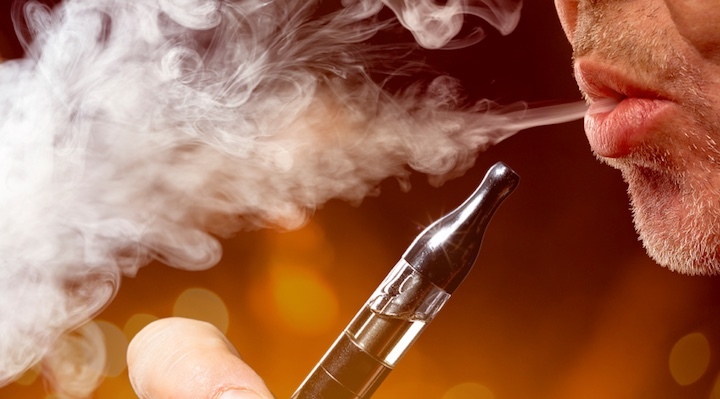 The FDA does not currently regulate e-liquid manufacturing.